Matte Clay is a water-based clay with a light hold and a smooth and matte finish. Infused with natural ingredients like Kaolin Clay and Avocado Oil, our paraben-free MATTE CLAY will help strengthen, condition and cleanse your hair while keeping you looking sharp all day! Directions for use: Rub a finger scoop of MATTE CLAY into the palm of your hands and work until it softens, then apply to towel dried or dry hair, making sure to work into the roots. 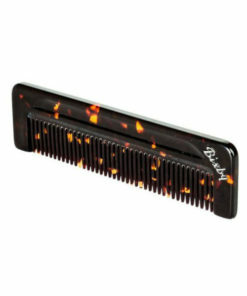 For messy, textured looks, apply to towel-dried hair and style using a comb or brush.